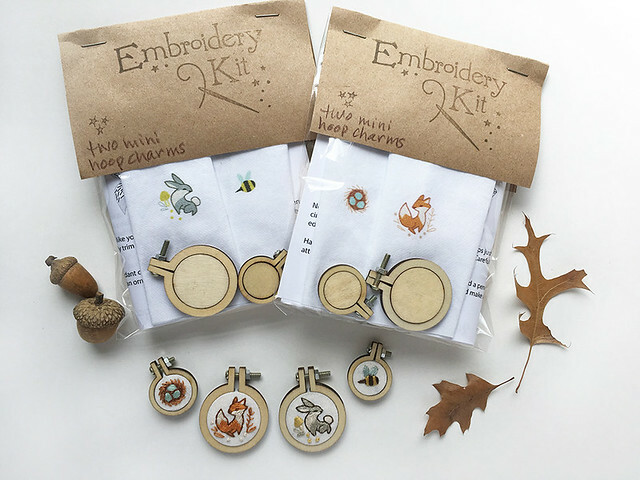 I am SO excited to show you my newest embroidery kits available at little dear!! 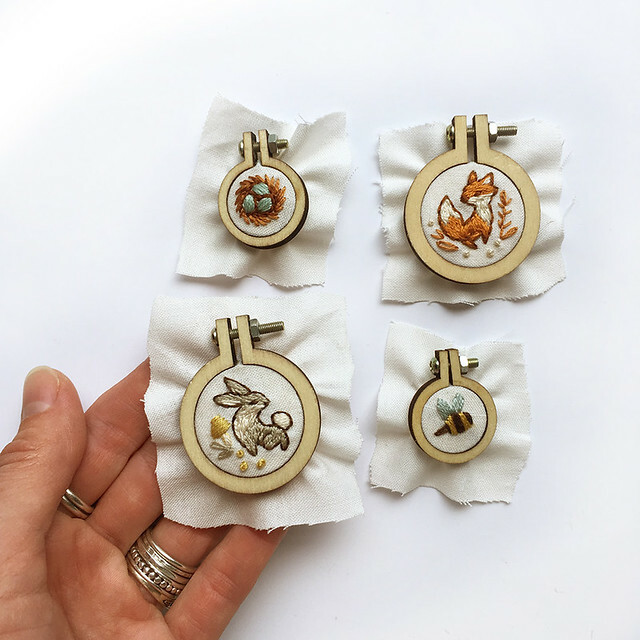 These adorable miniature embroidery hoop charms are so quick and fun to stitch up. Choose from Fox and Nest or Bunny and Bee kits. 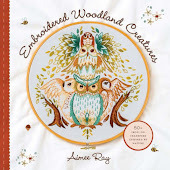 They make perfect gifts for crafty friends! 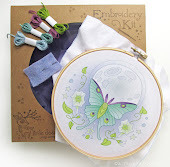 As always, my kits have top quality materials including color printed fabric so no transferring is required! Just thread your needle and follow the lines. 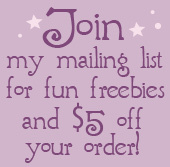 Detailed, easy to follow instructions guarantee that you will create a lovely finished product. 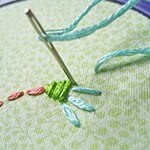 Even if you've never embroidered anything before, you will be all set to create something wonderful! When you're finished, you can wear them by adding your own pendant chains or pin backs, make ornaments or magnets, or use them as needle minders. I've had so much fun designing and packaging these sweeties up for you, I hope you'll love them too! !